Yesterday a Zippy posting took us to the cartoony district of Dingburg, where the Pinheads are flagrantly cartoonish rather than “normal”. Now two more strips have followed, showing us more about toonies, as the bulbous-nosed denizens of the district are called. Turns out they’re avid fans of superhero action comics. 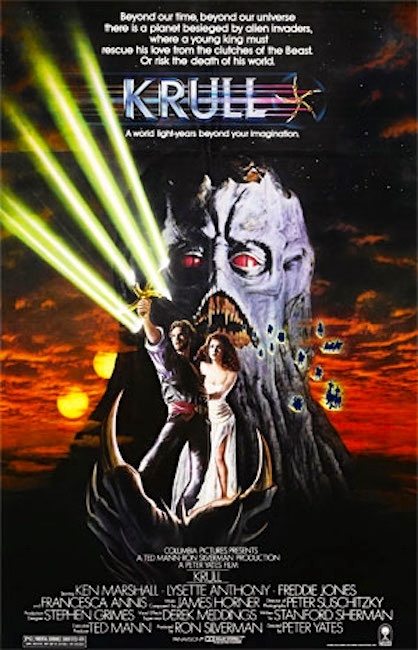 Krull is a 1983 British-American science fantasy film directed by Peter Yates and starring Ken Marshall, Lysette Anthony, David Battley and Freddie Jones. It was produced by Ron Silverman and released by Columbia Pictures. 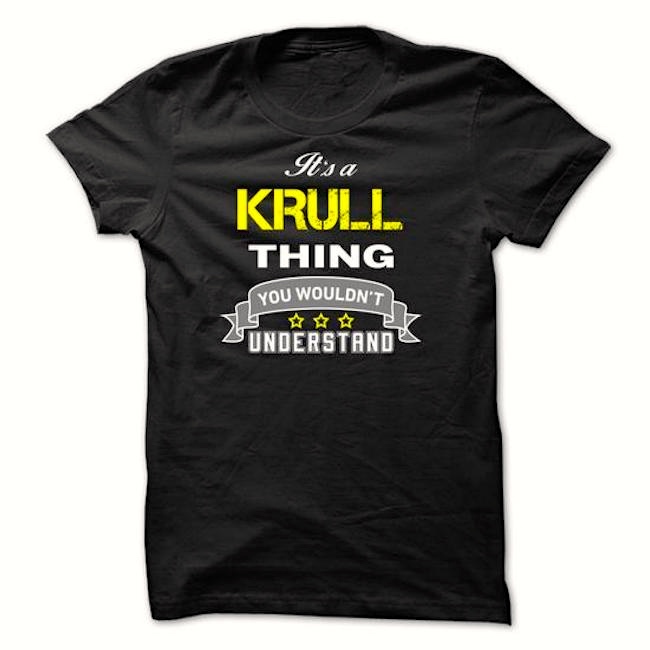 Krull‘s distinctive features include an unlikely union between the science fiction and fantasy genres, a robust score by James Horner, early screen roles for actors Liam Neeson and Robbie Coltrane, and its surrealistic set design within the castle presented as the “Black Fortress”. Although it was a commercial failure when released, it has since achieved status of a cult film. … A novelization was written by Alan Dean Foster. 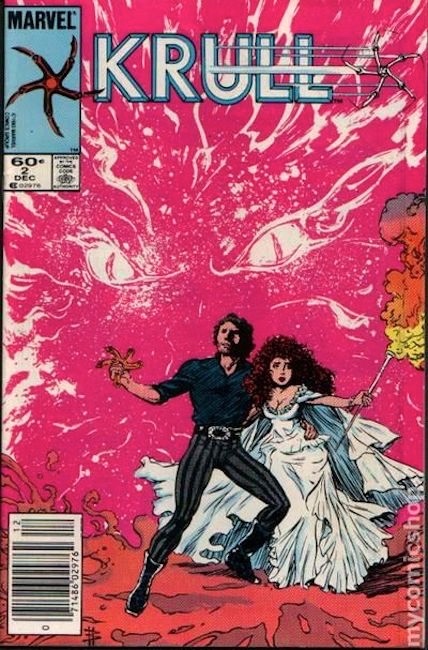 A comic book adaptation by writer David Michelinie and artists Bret Blevins and Vince Colletta was published by Marvel Comics, both as Marvel Super Special No. 28 with behind-the-scenes material from the film, and as a two-issue limited series. Then there’s the matter of the toonies’ names: Hercules Esperanto, Tidal Mindbender, Tombow Sharpie, Pentel Quicklock. Allusions to figures of myth and fantasy, brand names (especially the pen and pencil theme in Tombow, Sharpie, and Pentel), and more. This entry was posted on July 12, 2017 at 6:09 am and is filed under Comic conventions, Linguistics in the comics, Names. You can follow any responses to this entry through the RSS 2.0 feed. You can leave a response, or trackback from your own site.